Open heart surgery refers to a variety of different procedures done for the different parts of the heart. Quite literally, the chest is cut open, and surgery is performed on the heart itself, the surrounding blood vessels, or interior parts of the heart. Cardiac medicine has progressed, however, to the point in which completely open surgery is no longer necessary, and in fact many surgeries can be done through minimally invasive methods. Because of this, open heart surgery is not quite so clear a definition as it once was. There are many reasons for open heart surgery, including repairing damaged areas of the heart, replacing heart valves, and installing devices like pacemakers to increase the efficiency of the heart. Coronary bypass surgeries, heart transplants, and surgeries for congenital heart defects may all require open heart surgery. Many doctors and hospitals, however, have discovered minimally invasive and robotic techniques for some surgeries that used to be necessarily open heart. Two weeks before the scheduled surgery, patients are generally asked to cease smoking and avoid any medications that may thin the blood, including over-the-counter medication like aspirin. A special soap to kill all the bacteria on the body is often used before the patient comes to hospital to prevent additional bacterial risks. No food or drink is usually allowed after midnight (about eight to ten hours) before surgery is scheduled to begin. It is important to discuss any prescription or nonprescription medications you are taking with your surgeon when scheduling your surgery. After giving the patient sufficient general anesthesia, a four to six hour procedure begins. A incision about ten inches long is made in the chest to allow the surgeon sufficient working area, through the breastbone until the heart is visible and exposed. At this point, a heart-lung bypass machine may or may not be used, to prevent blood from coming to the heart while surgery is being performed. Then, the surgeon does whatever is required. For example, in a coronary artery bypass grafting (CABG) procedure, a healthy blood vessel is used to replace or bypass the problematic one, allowing blood to flow more easily to or from the heart. Once the internal portion of the surgery is complete, the breastbone is is closed with wire, which will be left in the body, and the outer skin will be stitched together. In higher risk patients, titanium plates may be used to rejoin the breastbone. 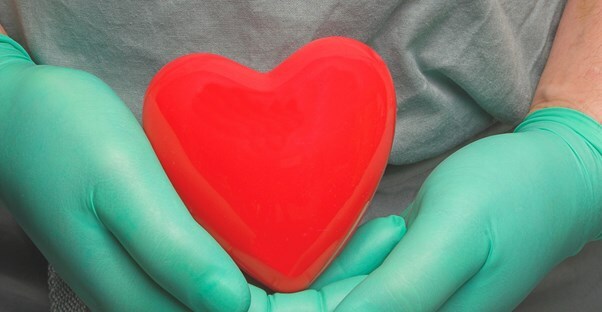 While any surgery involves risks, messing around with the heart can be much more serious. The risk of infection becomes elevated to the risk of a chest wound infection. This is much more common in patients who are overweight, have diabetes, or have had CABG before. Other potential risks include a heart attack, stroke, irregular heartbeat, and chest pain. A low fever may develop, as well as confusion and memory loss. More bodily risks include blood clots or blood loss, failure of the lungs or kidneys, or difficulty breathing. Use of the heart-lung bypass machine may increase some of these risks. If you notice any of these symptoms, it is extremely important to discuss them with your doctor. Following surgery, the patient spends at least one night in intensive care, followed by several more (up to a week) in a normal room. It generally takes about six weeks for open heart surgery patients to start to feel better and nearly six months for the surgery to really begin to take effect. What open heart surgery of any sort will not do is keep you from needing another open heart surgery. While some things can be fixed, other things can be brought back around as a result of poor eating or lifestyle. Patients must make a serious change in diet and exercise. Getting a handle on any cholesterol or blood pressure problems will help prevent future occurrences, as will not smoking, or eating foods that are fatty, salty, or sugary.